northern Virginia Christmas Tree Farms: choose-and-cut Christmas trees, Tree lots with pre-cut trees, stands, sleigh rides, hay rides and related winter events and fun! Whether you want to cut your own tree, pick a live tree and have it cut for you, buy a tree already cut or buy a living tree you can plant, this page provides detailed listings of northern Virginia's choose-and-cut Christmas tree farms, places to buy pre-cut (also called pre-harvested and fresh-cut) trees, stands, sleigh rides, hay rides and related winter events and fun. Some listings are for tree farms, others are tree lots, and some only offer hay rides, sleigh rides or other winter events. READ EACH LISTING to know what each facility offers. The farms are listed further down this page, so scroll down the page! Since this service is free and open to ALL Christmas tree farms, not just those who belong to an association or pay for an ad, like almost all other websites do, this is the most complete and current listing available! I'm always looking for more to add, and to correct any inaccuracies or errors, so if you encounter any, please email me ! And please tell the farmer you visit in northern Virginia that you found their farm here! I need the farmers to realize that you found them here so that they will keep their information up to date! 3346 Crums Church Rd, Berryville, VA 22611. Phone: (540) 955-1083. Email: amazinggracetreefarm@gmail.com. Open: UPDATE: December 03, 2018: Sold out of trees; They are closed until next season (2019), when their hours should be: Due to the late Thanksgiving weekend and high number of customers, we have exhausted our supply of premium trees and need to preserve trees for next year's rotation. We do hope that as our farm continues to mature, we will be able to accommodate more families with Jacobson Christmas trees. Click here for a link to our Facebook page. Ashcroft Farm - You choose, we cut and help load with baling and twine provided. Free hot and cold cider. Fresh cut trees, and Live trees (containerized and balled and burlapped) are individually priced; call for details. 751 Kitchen Lane, Box 220, White Post, VA 22663. Phone: 540-837-1240. Email: ctrees@ashcroftfarm.com. Open: beginning Thanksgiving weekend, Friday, November 27 through Sunday, December 20, every Friday/Saturday/Sunday from 10 am until 4 pm. Directions: From Winchester, Route 50 east, cross the Opequon; take next right on Gun Barrel Road (Route 644); go 3/4 mile and turn right on Kitchen Lane. Farm is 3/4 mile down that lane. From metro D.C. area, 25 miles west of Middleburg. After crossing Blue Ridge Mountains and Shenandoah River, go approximately 7 miles to intersection of Route 50 and Route 340 (stoplight). Stay on Route 50 west for 1 mile and take first left on Gun Barrel Road; go 3/4 mile and turn right on Kitchen Lane. Farm is 3/4 mile at end of Kitchen Lane. Car too small? Tree delivery may be arranged for an extra charge. Premium hand-sheared Christmas trees for the home and office. House and apartment sizes (3-10 ft.) as well as larger well-shaped trees suitable for offices, showrooms, schools, and cathedral ceilings. Mixed evergreen wreaths and white pine roping made fresh daily. Estate-sized wreaths (approximately 4 ft. in diameter) and roping (50 yards plus) must be ordered in advance of pick-up. Note: in 2018, their website www.ashcroftfarm.com is gone, but they are still on the state C hristmas Tree Growers website. Choose-and-cut: White and Scotch Pine, Colorado Blue Spruce, White Spruce and Norway Spruce, Concolor (silver) Fir and Douglas Fir. 1642 Chilly Hollow Rd, Berryville, VA 22611. Phone: 540-539-1307. Email: Moosecaller@aol.com. Open: UPDATE: December 03, 2018: Sold out of trees; They are closed until next season (2019), when their hours should be: Thanksgiving week end till Christmas (Friday through Saturday 9 am to 5 pm Sunday 11 am to 5 pm) Select and reserve your tree early by contacting us for appointment. Directions: Click here for a map and directions. Payment: Cash, Check. Click here for our Facebook page. You-Choose and You-Cut varieties: Blue Spruce, Douglas Fir, Norway Spruce, Scotch Pine, White Pine. You Choose and We cut varieties: Blue Spruce, Douglas Fir, Eastern White Pine, Norway Spruce, Scotch Pine. 2425 Wickliffe Rd, Berryville, VA 22611. Phone: 540-955-2450. Fax: 540-955-1081. Email: farmer@mooseapplechristmastreefarm. Open: every weekend 10 am to 4 pm beginning October 3 through November 22 for tagging trees picnicing, tailgating, & gift shopping; Weekdays by appointment; We will open Wednesday through Sunday from November 27 through December 20 to cut trees & visit our gift shop; Weekdays 10 am to 4 pm and weekends 9 am to 4 pm; Closed Thanksgiving Day; We will also be closed each Monday and Tuesday during the cutting Season. Directions: When using a GPS navigation system, use our street address, above. From Leesburg VA, West on Route 7, over Blue Ridge Mountain to right on Shepherds Mill RD, Right on Wickliffe. From Winchester, East on Route 7, Left on Wickliffe RD. From Charlestown WV, S on 340 to a couple of feet across the VA line, Left on Shepherds Mill, L on Wickliffe. Watch for the log house & barn in the middle of the Christmas trees. Click here for a map and directions. Payment: Cash, Check, Debit cards, Visa/MasterCard, AmEx. Click here for our Facebook page. Picnic & tailgating areas available with panoramic views of the Shenandoah Valley & Blue Ridge Mountains. Have a large group or hosting a corporate gathering? For a group of 20 or more, please call or email to reserve a space & ensure we have extra staff to make your visit to our farm a memorable one. You-Choose and You-Cut varieties: Blue Spruce, Colorado Blue Spruce, White Fir (Concolor Fir), Douglas Fir, Norway Spruce, Scotch Pine, White Pine, White Spruce. Living, rooted tree varieties: Blue Spruce, Colorado Blue Spruce, White Fir (Concolor Fir), Norway Spruce, Scotch Pine, White Pine, White Spruce. Oakland Tree Plantation - Christmas trees-you choose and you cut, Fresh cut trees, and Live trees (containerized and balled and burlapped), restroom. Free hot mulled cider. U.S. Route 340 North, Berryville, VA 22611. Phone: 540-955-4495. Alternate phone: 800-727-9627. Email: pjcook2000@yahoo.com. Open: 9 am to dark (around 5 pm), daily, Friday of Thanksgiving weekend through December 23. Directions: From Northern Virginia, take Virginia Route 7 (Leesburg Pike) west over Blue Ridge Mountains. Route 7 intersects with U.S. Route 340 at Berryville. Farm is on U.S. Route 340, 4 miles north of Berryville, 1/2 mile south of Virginia/West Virginia line. Easy access from four lane highway, ample parking., Free hayrides for everyone. You choose and cut. Tagging permitted. Baling, plenty of twine. Shaker removes dead needles from trees. Saws are provided. Free coloring books for children. Santa's Shop, in heated historic bank barn, has pine roping, evergreen wreaths, tree stands, ribbon and bows, ornaments and decorations, a large children's book selection, and much, much more. Feed the animals on our goat skywalk! Please telephone for prices of live trees, retail lot fresh-cut trees and wholesale quantities. Click here for a link to our Facebook page. Choose and cut: White pine to 12 ft.; Scotch pine to 7 ft.; Norway spruce to 7 ft.; Douglas fir to 8 ft. Living, rooted tree varieties: Norway spruce, Blue spruce. Fresh-cut trees: Fraser fir to 11 ft.; Douglas fir to 10 ft.; Concolor fir to 10 ft.
Sipe's Christmas Tree Farm - Christmas trees-you choose and we cut, Christmas shop, wreaths, roping, tree stands, and other assorted Christmas items. Honey, cider, apple butter and candy also available. P.O. Box 38, White Post, VA 22663. Phone: 540-550-7431. Alternate phone: 540-550-7437. Open: 8:30 am to 4 pm, daily, beginning day after Thanksgiving to December 24. Directions: One mile east of White Post on Route 628. Easy access from D.C. area on Routes 50 and 66. About mid-point between Front Royal and Winchester. You choose, we cut: white pine, Scotch pine, and red pine. 18181 Edwards Shop Road, Elkwood, VA 22718. Phone: 540-399-1601. Email: artrees@wildblue.net. Open: 10 am to 5 pm, weekends, beginning Friday after Thanksgiving until December 24, 2010; At other times, call for an appointment. Directions: From Culpeper intersection of Route 3 and 15: take Route 3 east for 10.9 miles. Left on 647 (Rivercomb Road) for 1.0 mile. Right on 610 (Eleys Ford) for 0.5 mile. Left on 620 (Edwards Shop Road) for 3.2 miles. Farm on right. From Fredericksburg intersection of I-95 and Route 3: take Route 3 west for 17.6 miles. Right on 620 (Yellowbottom Road) for 2.3 miles. Left on 610 (Eleys Ford Road) for 0.5 miles. Right on 620 (Edwards Shop Road) for 3.2 miles. Farm on right. From Metro D.C. area Beltway and I-66: I-66 west to exit 43A (Gainesville/Warrenton) for 29 south. Then 29 south to Warrenton 15-29 south bypass. Then 15-29 south for 16.4 miles to left on 674 (Elkwood - Kelly's Ford Road). Then 5 miles to merge of 674 directly with 620 (Edwards Shop Road). Then 2 miles on 620 to one-lane concrete bridge. Then 2 tenths of a mile to top of hill. Farm on left. Click here for a map and directions. Payment: Cash, Check. Saws are available. Our trees are close to the parking area. Free table top 4-6 inch Christmas trees are available to all. Free trailer rides, weather permitting. No dogs or chain saws allowed in the fields. Limited supply of Norway Spruce trees. Prices in 2015 were, All White and Scotch pines, $35.00; Norway Spruce and Cedars, $5.00 per foot. You-Choose and You-Cut varieties: Eastern Red Cedar, Eastern White Pine, Norway Spruce, Scotch Pine. 18028 Carrico Mills Road, Elkwood, VA 22718. Phone: 540-423-9020. Email: Teresa@BeesAndTrees.biz. Open: Wednesday through Sunday, from 9 am to 4 pm, the day after Thanksgiving through December 23. Directions: Click here for a map and directions. Payment: Cash, Debit cards, Visa/MasterCard, Discover, AmEx. Click here for our Facebook page. You-Choose and You-Cut varieties: Blue Spruce, Canaan Fir, Carolina Sapphire, Leyland Cypress, Norway Spruce, Scotch Pine, White Pine, White Spruce. Comments from a visitor on August 18, 2011: "Crazy Joe and his wife, Jocelyn, were very knowledgable and friendly. The Christmas trees were the best I've seen!" 5537 Glengary Lane, Amissville, VA 20106. Phone: 540-937-3021. Email: trees@glengaryfarm.com. Open: Tuesday to Sunday, from 10 am to 5 pm; starting Thanksgiving Day (hours are 10 am to 2 pm) through December 22. Directions: From Warrenton, VA take Route 211 west to Amissville.Turn left onto Route 642(Viewtown Road).Go 1 mile, turn left onto Route 611(Waterford Road).Go 2 miles, turn right onto Route 626(Korea Road).Farm entrance is about.8 mile on left at top of hill. From Culpeper,VA take Route 229 north.Travel about 10 miles(past Rixeyville,cross Hazel River bridge),turn left onto Route 611(Waterford Road).Go 3.5 miles turn left onto Route 626(Korea Road).Farm entrance is about.8 mile on left at top of hill. Click here for a map and directions. Payment: Cash, Check, Debit cards, Visa/MasterCard, Discover. You-Choose and You-Cut varieties: Blue Spruce, Canaan Fir, Douglas Fir, Fraser Fir, White Pine, White Spruce. 14455 Waterford Run Lane, Rixeyville, VA 22737. Phone: 540-937-5062. Email: fahmah@earthlink.net. Open: Wednesday and Thursday from 1 pm to 5 pm, Friday to Sunday from 9 am to 5 pm, closed on Monday and Tuesday; sales start the Friday after Thanksgiving until December 24, Closed Mondays. Directions: West from Warrenton, take Route 211, cross the Rappahannock River to traffic light. Left on Route 229 for 6 miles, then right on Route 611 (Waterford Road) for 1 mile to Waterford Run Lane. Take this right and come to the top of the hill. North from Culpeper on Route 229, through Rixeyville. Cross Hazel River and take first left on Route 611. One mile to farm on right. This is a family farm, involving grandparents, children, and grandchildren. We try to make every visit special, especially for kids. We have bunnies to hold, chickens to visit, and a nature path to stroll through the woods. Free local cider and homemade cookies and a warm fire in the wood stove will help to make your visit a pleasure. We provide saws and offer free tree bundling and tying on. Our greenhouse is full of gift items made here at the farm, including hand-woven runners and other items, hand-hooked rugs, beeswax candles and ornaments, homemade jams, catnip bags, and a variety of Christmas decorations. 12063 Eggbornsville Road, Culpeper, VA 22701. Phone: 540-825-4693. Email: bjpctf@juno.com. Open: 2018 WILL BE OUR LAST YEAR; 2 SELLING WEEKENDS FROM 10 am to 4:00pm: Friday, November 23 - Sunday, November 25th. And again, Saturday and Sunday, December 1-2. ). Directions: Minutes from downtown Culpeper. At north end of town, Main Street becomes Route 229. Go one mile on Route 229 and turn left on Route 729. Farm is 4-1/2 miles on right. Wreaths, swags, and roping made fresh daily. No digging or chain saws are allowed. Click here for a link to our Facebook page . 15621 Braddock Road, Centreville, VA 20120. Phone: 703-830-4121. Email: info@coxfarms.com. Open: daily from Friday after Thanksgiving until December 23 from 11 am to 8 pm on Monday to Friday and from 9 am to 7 pm on Saturday and Suinday ALWAYS See our website for current hours. Click here for current open hours, days and dates./a> Directions: Click here for a map and directions. Fall Festival, Festival Market, and Fields of Fear are late September through early November;Corner Market open mid-April through August, and Thanksgiving through Christmas Eve. Payment: Cash, Debit cards, Visa/MasterCard, Discover. Click here for our Facebook page. PreCut varieties: White Fir (Concolor Fir), Douglas Fir, Fraser Fir, Noble Fir. 12523 Popes Head Road, Clifton, VA 20124. Phone: 703-968-3900. Email: info@whitehall.farm. Open: Wednesday to Friday from 11 am to 7 pm; Saturday from 9 am to 5 pm; and Sunday from 11 am to 5 pm. Directions: Click here for a map and directions. Beginning the day after Thanksgiving until mid-December, Wagon Rides, Farm Animals, Picnic Ar Saturday, Fire, Cider, and Cocoa are only available Friday through Sunday; The Friday after Thanksgiving we are open from 9 am to 5 pm;. We use natural practices, but are not seeking organic certification. Payment: Cash, Check, Debit cards, Visa/MasterCard, Discover, AmEx. Click here for our Facebook page. 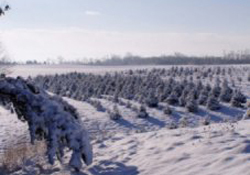 Whitehall Farm buys premium Christmas trees from a family farm in North Carolina each year. You can come buy your tree starting the day after Thanksgiving, and the sale will continue through Christmas Eve (or until we sell out!). Our premium blue ribbon fraser firs range 5-9ft, are as fresh as it gets without cutting down your own. Unlike the trees find at a big box stores, ours NEVER see the inside of a box, and therefore remain smelling amazingly fresh for months! We will happily help you load your tree onto your car, and provide any other assistance you might need. All trees are pre-cut. Dogs are allowed in the lot but not in the farm store. If the weather cooperates we will have weekend wagon ride/farm tours, hot apple cider and chocolate available for $10 per family! Last wagon ride at $3.30 (2018 price). Check out our Facebook Event Page for daily updates. 10699 Ada Road, Marshall, VA 20115. Phone: 540-364-3166. Alternate phone: (540)270-8617. Open: Weekends in December and by appointment. Directions:From Marshall (exit 27 on I-66) take 647 (Cresthill Rd.) 3.7 mi., Turn right on 724 (Ada Rd.) Go 0.6 mi. to Driveway on left, low stone wall and "10699" on tree. Driveway is 800' thru woods. Limited numbers of mature trees from over 20 species of fir, spruce and pine are available as choose and cut Christmas trees. Photos of our trees illustrate the interplanting of these varieties. 4484 Lee Hwy, New Baltimore, VA 22824. Phone: 540-341-4739. Fax: 540-341-4732. Email: bucklandfarmmarket@gmail.com. Open: 9 till 7 Monday thru Saturday - Sunday 9 till 6. Click here for current open hours, days and dates. Directions: on web site. From Route 66, Exit 40 South (Route 15) about 3 miles to right turn on Route 29 (Lee Highway). About 3 miles to turn lane at Avalon Farm on right, just after the "Welcome to Fauquier County" sign. From Warrenton and points south, go north on Route 29 (Lee Highway), past Riley Road. The market is on your left. Proceed past Battlefield Baptist Church, then make a legal U-turn at the left turn lane, back to to market's entrance. Click here for a map and directions. Payment: Cash, Check, Debit cards, Visa/MasterCard, Discover, AmEx, WIC Vouchers, SFMNP Vouchers. Sherry Lynn's Bake shop has freshly-baked pies, apple cider and pumpkin donuts in season, cookies, other luscious treats and sugar-free cakes and pies. 14694 Days Hill Ln, Sumerduck, VA 22742. Phone: 540-439-8316. Email: greenthumbfarm@aol.com. Directions: from fredericksburg, Va. 15 miles north of 95 on route 17, make a left on sumerduck road, go 4 miles and make a left on Rogers Ford Road, 2.5 miles to end of Road, then follow the signs. From warrenton- Route 29 south to Route 17 south make a right on Sumerduck Road then left on Rogers Ford road 2.5 miles to end of Road, then follow the signs. And for a map to our farm, click here. Crops are usually available in April, December. Open: we are open by appointment, and will try to have someone on the farm to assist you on weekends from 9 am to 5 pm, its still a good idea to call ahead and make sure crops are ready for picking. We follow organic methods, but are not yet certified. Payment: Cash, Check. We offer brown and white eggs for sale from free range chickens. We are also working on a strawberry patch, and an apple orchard for 2009. 3205 Hartland Lane, Markham, VA 22643. Phone: 540-532-0436. Alternate Phone: 540-5336901. Email: hartlandfarm@gmail.com. Open: every day beginning Friday after Thanksgiving until December 2nd from 10 am to 5 pm. Directions: From DC take 66 to exit 18 at Markham. Turn right at the end of the ramp and take an immediate left on Belle Meade Road Hartland Farm with pick your own vegetables, market, corn maze, pumpkin patch and fun field is just inside Hartland Orchard entrance at 3205 Hartland Lane, Markham, VA 22643. Christmas trees are located at 12234 Belle Meade Rd, Markham, VA 22643. Click here for a map and directions. We anticipate sweet corn in August; Tomatoes are available in August and September. Payment: Cash, Check, Debit cards, Visa/MasterCard, Discover, AmEx. We will have special event weekends that will appear on our website and Facebook. Click here for our Facebook page. Hartland is a real working farm operated by three generations of the Green family. It is nestled in a valley all its own, and is a beautiful setting for families to enjoy each other, have fun and learn something about how food grows. Teachers are finding that we are a great destination for their classrooms and are coming back year after year. You-Choose and You-Cut varieties: Blue Spruce, Canaan Fir, Douglas Fir, Eastern White Pine, Fraser Fir, Leyland Cypress, Norway Spruce, White Fir (Concolor Fir). JB's Christmas Tree Farm - Christmas trees-you choose and you cut, Hand saws and tree netting provided. Treats for the kids. 11192 Rogues Road, Midland, VA 22728. Phone: 540-788-4035. Fax: 540-788-3645. Email: rkball@royal.net. Open: 10 am to 5 pm, Saturday and Sunday, from Thanksgiving to Christmas; Also open Friday after Thanksgiving 10 am to dark.Directions: From Beltway, 66 west to Route 234 south exit #44, south on Route 28 approximately 15 miles to Midland, left on Midland Road (Route 610), cross railroad tracks, right on Rogues Road (Route 602) 1 and a half miles to farm on right. From Bealeton, intersection of Routes 17 and 28, go north on Route 28 approximately 3 miles; turn right on Midland Road (Route 610); cross railroad tracks and turn right on Rogues Road (Route 602), 1 and a half miles to farm on right. U-Choose and Cut your own: Norway Spruce, White pine and Scotch pine; wreaths. 5867 Freestate Rd, Marshall, VA 20115. Phone: 540-364-1130. Email: 68hc11@comcast.net. Open: Saturday and Sunday, from 9 am to 5 pm, November 26 to December 24; Closed Monday to Friday. Directions: Payment: Cash, only. You-Choose and You-Cut varieties: Norway Spruce, White Pine. 4010 Leeds Manor Road, Markham, VA 22643. Phone: 540-364-1206. Email: Billstrib@gmail.com. Open: Saturday and Sunday, Thanksgiving to Christmas, 10 am to 5 pm. Directions: I-66 to exit 18 (Markham) Route 688 straight follow signs 3 miles to farm on right. Click here for a map and directions. Payment: Cash, Check. Trees to 10 feet+. 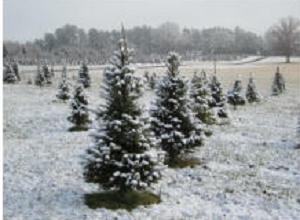 You-Choose and You-Cut varieties: Fraser Fir, Norway Spruce, Scotch Pine, White Pine. 251 W Lee Hwy, Next To Rankins True Value Hardware, Warrenton, VA 20186. Phone: (703) 596-3987. Open: the Friday after Thanksgiving to Christmas on Monday to Thursday from 4 pm to 9 pm; Friday from 12 pm to 9 pm; Saturday from 9 am to 9 pm; Sunday from 11 am to 6 pm. Directions: Located on the North side of the Warrenton Shopping Center (Staples & Petco), next to Rankins True Value Hardware store, on Route 17. Click here for a map and directions. Payment: Cash, Check. Size of Trees available: 5.5 ft -13 ft Map . Click here for our Facebook page. PreCut varieties: Canaan Fir, White Fir (Concolor Fir), Douglas Fir, Fraser Fir, Scotch Pine. Clouses' Pine Hill Farm - Custom digging of live trees, netting of cut trees. 2696 Greenspring Road, Winchester, VA 22603. Phone: 540-888-3280. Email: rclouse@verizon.net. Open: NOTICE: Choose and Cut trees will NOT be available after Sunday, December 9th; We will continue to have a selection of pre-cut trees to choose from, located at the entrance of the farm, until December 23rd from 9 am to 5 pm, Thursday to Sunday, Starting Friday after Thanksgiving to Christmas. Directions: From Winchester, go north on US Route 522. After crossing under Route 37 overpass, turn right onto Route 739 (Apple Pie Ridge Road). Go 6.2 miles to community of White Hall. At four-way stop, turn left onto Greenspring Road and follow for 5 miles to farm on right. Cash or checks only. Click here for a link to our Facebook page . You-Choose and You-Cut varieties: White Pine, Scotch pine, Douglas fir, Norway and Blue spruce. Limited number of Fraser, Canaan and Concolor fir. 2180 Fairfax Pike, White Post, VA 22663. Phone: 866-864-0366 or 540-868-0366. Fax: 540-869-0822. Email: missy@shen-val.com. Open: mid-April through Christmas. Call or check our Web site for more detailed information. Directions: Take I-81 to exit 307 (Stephens City). Turn east off the exit (Route 277) and travel approximately 4 and a half miles. The market is located on your right, just 3 tenths of a mile before the intersection of Route 522 and 340.Special Comments: Our new market at White Post allows us to market the same farm fresh produce to more consumers! The market is located just 10 miles from the family dairy farm. Beef cattle, along with a beautiful view, provide the back drop. Also picked Peaches, plums, nectarines, tomatoes, squash, green beans, cucumbers, watermelons, cantaloupes, and other vegetables in season. Gourds, mums, bedding plants, jams and jellies, cream-line milk, Virginia country hams, and our own grain-fed beef raised on the farm are available. Holiday items available for pick-up or shipment. Sherwood Pines Christmas Tree Farm - Choose and cut Christmas trees, Complimentary hot mulled cider and cookies. Saws provided. Tree tagging allowed. Tree baling service and loading assistance upon request. 262 Sherwood Pines Lane, Cross Junction, VA 22625. Phone: (540) 888-3597. Email: treefarm@wave2net.com. Open: Saturday and Sunday from 9 am to 5 pm., from the day after Thanksgiving through the weekend before Christmas.Directions: From Winchester, Virginia, take U.S. Route 522 north approximately 16 miles to Reynolds Store, VA. Turn right (east) on Route 694 (Reynolds Road) to first road on the left (Sherwood Pines Lane) and go approximately 0.2 mile to the tree farm on the right. 26469 Ticonderoga Rd, Chantilly, VA 20152. Phone: (703) 327-4424. Email: marketing@amazingfarmfun.com. Open: Dates and timings May vary; Please visit website for details. Click here for current open hours, days and dates. Directions: Click here for a map and directions. For a map to our farm, click here. Dates and timings May vary; Please visit website for details. Payment: Cash, Check, Debit cards, Visa/MasterCard. Click here for our Facebook page. Santa visiting the site from 11 am to 3 pm or weekends. Food, Hot drinks and snacks available on site 11 am to 4:30 pm. PLEASE keep in mind it is dark at 5 pm. If you wish to pick a tree Monday through Thursday, just give us a call we will be working on the farm. U-Choose and Cut varieties: Red Pine, Scotch Pine, Virginia Pine, White Pine. 13879 Bronco Ln., Lovettsville, VA 20180. Phone: 540-882.3353. Email: blueridge@loudounwireless.com. Open: UPDATE: December 14, 2018: Sold out of trees; They are closed until next season (2019), when their hours should be: Saturdays and Sundays, beginning December 5, 10 am to 4 pm. Directions: From Leesburg, take Rte. 7 W. Exit at Rte. 9 W toward Hillsboro/Charles Town, WV. Go 5 miles and turn right on to Rte. 287 (Berlin Turnpike) N toward Lovettsville. Go 3 miles and turn left on to Rickard Rd. Take the first right on to Bronco Ln. and the farm is on the left at the end. Price: $75 for any tree; cash, check and credit cards accepted. Saws, tree bale, loading assistance, pets allowed. Warm up by our Dancing Bear fire pit. Enjoy warm cider and hot chocolate. Candy canes for kids young and old! You-Choose and You-Cut varieties: Canaan Fir, Concolor Fir, Norway Spruce, Blue Spruce, Scotch Pine. 22042 Newlin Mill Road, Middleburg, VA 20117. Phone: 540-687-3260. Email: zim@rstarmail.com. Open: between Thanksgiving and Christmas between 9 am and 5 pm. Directions: 3.4 miles west of Middleburg on Rte. 50. Turn right on St. Louis Rd., go 1.7 miles to Newlin Mill Rd. on left. Go less than a mile to Buttonwood Farm on the right. Click here for a map and directions. We use natural practices, but are not seeking organic certification. Payment: Cash, Check. Award winning family farm with beautiful views of the Blue Ridge Mountains. Prices: (in 2015) were all trees $70. Saws, tree shake, tree bale, loading assistance, hot spiced cider and pets allowed. Their website is down, but the state tree association still has them as a member . You-Choose and You-Cut varieties: Blue Spruce, Canaan Fir, Colorado Blue Spruce, Eastern White Pine, Norway Spruce, White Fir (Concolor Fir), White Pine. You Choose and We cut varieties: Blue Spruce, Canaan Fir, Colorado Blue Spruce, White Fir (Concolor Fir), Eastern White Pine, Norway Spruce, White Pine. 40824 Red Hill Road, Leesburg, VA 20175. Phone: 571-241-2829 . Alternate phone: 703-929-4749. Fax: 703-327-8419. Email: rickyhoybach@msn.com. Open:from Friday after Thanksgiving through the first 3 weekends in December, Sat & Sun we are open 9am to 5 pm and weekdays by appt only,. Directions: From points east take Loudoun County Parkway or Belmont Ridge Road to Ryan road (Rte 772) then cross over Evergreen Mills Road (Rte 621). The road becomes Red Hill Road drive 1.5 miles to farm on the right. From Gilbert's corner (Rt 50 & Route 15) take 50 West to left on Watson Road (Rte 860 north) two mile and turn Right on Red Hill Road. We are across from the First Baptist Church of Watson. And for a map to our farm, click here. Crops are usually available in December. Payment: Cash, Check, Visa/MasterCard. Season Firewood and fresh free-ranged brown farm eggs. Click here for our Facebook page. We have Choose and Cut your own Christmas trees - White Pine, Scotch Pine, Norway Spruce. Don't have time to come out to the farm? Don't worry we have delivery service. Call or email to order your tree delivered to your home. You-Choose and You-Cut varieties: Norway Spruce, Scotch Pine, White Pine. You Choose and We cut varieties: Norway Spruce, Scotch Pine, White Pine. PreCut varieties: Fraser Fir, Leyland Cypress, Norway Spruce, Scotch Pine, White Pine. Day Star Farm - Christmas trees-you choose and you cut, saws provided, free baling, cutting and loading assistance, free Hot chocolate. 41374 Reservoir Rd., Leesburg, VA 20175. Phone: 703-327-6269. Email: daystarfarm@gmail.com. Open: Saturdays, November 29 and December 6 from 9 am to 5 pm; Sundays, November 30 and December 7 from 12 pm to 5 pm. Directions: From Leesburg, drive south on Evergreen Mill Rd. across Goose Creek Bridge and left on Reservoir Rd. Fourth drive on left. From Ashburn: Ryan Rd. W to right on Evergreen Mills Rd. Two miles to right on Reservoir Rd. Fourth drive on left. From South Riding: Loudoun County Parkway N to left on Evergreen Mills Rd. Six miles to right on Reservoir Rd. Fourth drive on left. You-Choose and You-Cut varieties: Scotch Pines, Norway, Blue Spruce, Concolor Fir. 47807 Blockhouse Point Place, Sterling, VA 20165. Phone: (703) 217-9063. Email: ed@lightsatlowesisland.com. Open: Christmas: 5 pm to 11 pm. Click here for current open hours, days and dates. Directions: From Route 7 and Fair Fair County Parkway: Travel North on Algonkian Parkway for about 1.9 miles; Turn right at the signal onto White Water Drive; Pass Lowes Island Elementary School on your left; Turn right onto Blockhouse Point Place; Decorated home is on your right just before the end of the cul-de-sac. Click here for a map and directions. Payment: Click here for our Facebook page. This is a fun-free holiday thing to do with your family. The light shows are family friendly. Tune your radio to 98.1 to hear the audio and music. The lights are synchronized to this audio. 16463 Short Hill Road, Purcellville, VA 20132. Phone: 540-338-4635. Fax: 540-338-6759. Email: Loudounag@aol.com. Open: Thanksgiving Friday and that weekend and following weekends from 9 am to 4:30 pm. Directions: From Leesburg Route 7, take Purcellville-Lovettsville exit (Route 287) toward Purcellville, go a short distance to right on Hirst Road; follow to right on Route 690 (Hillsboro Road); left on Route 711 (Allder School Road); turn right on Route 716 (Short Hill Road) to 3rd driveway on left. Click here for a map and directions. Ornamental trees anytime by appointment. Payment: Cash, Check, Visa/MasterCard. You-Choose and You-Cut varieties: Canaan Fir, Colorado Blue Spruce, Norway Spruce, White Fir (Concolor Fir). Living, rooted tree varieties: Blue Spruce, Colorado Blue Spruce, White Fir (Concolor Fir), Norway Spruce. Lowelands Farm - Christmas trees-you choose and you cut, Handsaws, tree baling, twine available for your use, free of charge, Gift shop, Christmas wreath. 21344 Steptoe Hill Road, Middleburg, VA 20117. Phone: 540-687-6923. Fax: 540-687-6711. Email: lowelandfarm@aol.com. Directions: From Washington Capital Beltway, take I-66 west to Route 50 west. Go 16 miles to Aldie, VA. Turn right on Route 734 (Snickersville Turnpike), travel 5 miles. Turn right on Route 733 (Lime Kiln Road) for 1 mile. Turn left on Route 763 (Steptoe Hill Road) for 1/2 mile to farm sign on right. From Leesburg area, take Route 15 south to Oatlands Plantation, approximately 7 miles. Just past Oatlands, turn right on Lime Kiln Road. Go 5 miles to right turn on Steptoe Hill Road. Open: 9 am to 5 pm, weekends only, Thanksgiving weekend and the first three weekends in December; The third weekend is subject to change; please call first. No chain saws please. You cut or we gladly help cut for you! Cheerful assistance provided for loading. Free greenery as available. FREE HAYRIDES! We welcome you into our farm kitchen for complimentary hot, mulled cider and gourmet tastings. We have four generations living on our family farm. INDOOR RESTROOM. Dogs on leashes are welcome. Friendly horses, pygmy goats, Scottish Highland cows and a miniature donkey to pet! Payment by cash or check. No credit cards. Click here for a link to our Facebook page. 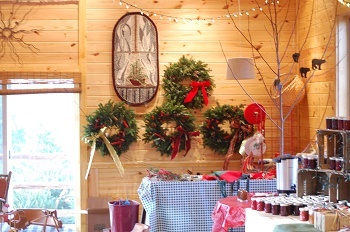 Gift shop with Christmas wreaths (freshly made on our farm), pine roping, unique handmade tree ornaments, beeswax candles, and Lowelands Farm Fine Foods. U-Choose and Cut your own: Norway spruce, white spruce, Colorado blue spruce, Douglas fir, Concolor fir, 6-7 ft. Freshly cut Fraser fir, Douglas fir, and Colorado blue spruce, 6-12 ft. Living, rooted tree varieties: Limited supply of balled and burlapped trees. Christmas Tree Lane, Round Hill, VA 20141. Phone: 540-554-8625. Email: fkok@middleburgxmastrees.com. Open: UPDATE: December 15, 2018: Sold out of trees; They are closed until next season (2019), when their hours should be: 9 AM to 5 PM Saturdays and Sundays between Thanksgiving and Christmas, In addition, we are also open on the Friday after Thanksgiving; and open on Fridays in December from 1 PM to 5 PM. Click here for current open hours, days and dates. Directions: Take Route 50 West from the Capital Beltway to Middleburg. Turn right at the traffic light in Middleburg onto Route 626 (Foxcroft Road, 6.2 miles, turn right on Route 630 (Unison Road), 0.1 mile turn left Christmas Tree Lane. Click here for a map and directions. Payment: Cash, Check. Payment in Cash or Check only. Plenty of saws. Tree wagons to cart your tree from the field. Dogs welcome. We encourage you to bring your own picnic. Picnic tables available. Bonfires. Free baling. Free shaking of the trees. Click here for our Facebook page. You-Choose and You-Cut varieties: Colorado Blue Spruce, Douglas Fir, Norway Spruce, White Fir (Concolor Fir). Comments from a visitor on December 03, 2012: "Noted that the listing for Middleburg Farm shows Blue Spruce, Colorado Blue Spruce, & Douglas Fir as their cut-your-own varieties. They actually have Blue Spruce, Douglas Fir, Norway Spruce, and Concolor Fir (very few of these). We found the staff there very helpful. The roads, paths, & fields were really well-maintained, making it easy to transport the tree once cut." Milltown Creek Tree Farms - Christmas trees-you choose and you cut, Scenic views; wagons and farm equipment; life-size cartoon caricatures for picture-taking opportunities. Saws and tree carts provided; free baling and twine; complimentary hot cider (Saturday-Sunday only) and other gifts for children. Please no dogs or chain saws allowed in the fields. Payment: Checks or cash only. 338757 Householder Road, Lovettsville, VA 20180. Phone: 540-822-5428. Open: Monday to Friday from 12 pm to 5 pm; Saturday and Sunday from 9 am to 5 pm; starting Friday after Thanksgiving until Sunday before Christmas. Directions: From Washington Capital Beltway, take Route 7 west (past Leesburg), right on Route 9 west, 5 miles. Right on Route 287 north, 4.7 miles. Left on Householder Road, 7/10 mile. Farm on left. Or from Frederick, MD, take Route 340 west to Route 17 south (Brunswick, MD) to Route 287 south, 1 mile south of Lovettsville. Right on Householder Road, 7/10 mile. Farm on left. Prices: (in 2015) are All varieties of trees priced by height with a minimum up to maximum for 10 ft. Fresh pre-cut trees, including Fraser fir; wreaths and roping available. Christmas shop, including handmade ornaments, tree stands, and cider open Saturday-Sunday only. Trees are also available wholesale. U-Choose and Cut your own: blue and white spruce; Douglas and Concolor fir; Scotch, white and Southwestern white pine. 18200 Elmer School Road, Dickerson, MD. 16477 Woodgrove Road, Round Hill, VA 20141. Phone: 540-338-2852. Alternate Phone: 540-454-0727. Email: prufarm@aol.com. Open:Our farm is officially closed but we have decided to let families continue cutting remaining trees on a self-serve honor system daily until Christmas; That means that we do not have any cutting or loading assistance (we still provide saws for cutting and twine to tie onto your car though no baler). . Directions: From Leesburg, Virginia: Take Route 7 Bypass W to Round Hill/Purcellville exit veering R off the ramp onto Business Route 7 W. Go 1/2 mile and turn R at the Exxon Station onto Main Street or 719N (also Woodgrove Road). Drive 1.8 miles until you see the Pruitt's Little Farm sign on the left. Payment: Cash, Check. Begin a wonderful Christmas tradition of finding the perfect tree with family and friends! Gather around our antique parlor stove to enjoy complimentary hot chocolate and peppermint candy canes in a picturesque setting at the foot of the Blue Ridge Mountains. Dogs are family, and welcomed (we have water and biscuits available for them too), but please bring a leash. 34350 Williams Gap Road, Round Hill, VA 20141. Phone: 540-554-8323. Alternate Phone: 801-244-6074. Email: farm@snickersgaptrees.com. Open: from the day after Thanksgiving (November 29th) from 9 am to 5:30 pm, then weekends from 9 am to 5:30 pm, and weekdays from 12 pm until 5:30 pm; Check website for closing date. Click here for current open hours, days and dates. Directions: Rt 7 West of Leesburg approximately 14 miles; Take a RIGHT onto Route 711 (Williams Gap Road), the farm is 1/2 mile on the left. For GPS the address is 34350 Williams Gap Road, Round Hill, VA 20141. Click here for a map and directions. Payment: Cash, Check, Debit cards, Visa/MasterCard, AmEx. Snickers Gap Tree Farm is a family owned and operated choose-and-cut Christmas tree farm located near Bluemont, Virginia. We are situated on the eastern slope of the Blue Ridge Mountains, providing a beautiful, panoramic view of the Loudoun Valley and points beyond. We provide complimentary hot-spiced cider, shake your tree clean and bale it tight for easy transport. Comments from a visitor on December 07, 2012: "Just a head's up...as of 8 December 2012, this farm won't have anything available under 10 feet tall! Those of us with 8 ft ceilings will be glad to have checked their website first!!" Comments from a visitor on November 27, 2010: "We visited Snickers Gap today and had a great time! Easy to find, lots of parking, plentiful and healthy trees, helpful staff, dog-friendly, and everyone was having a fun! This will become a new family tradition." 37268 Bolyn Rd., Purcellville, VA 20132. Phone: 703-328.3418. Email: stonehavenhoney@yahoo.com. Open: 9 am to 4 pm Saturday and Sundays. We will open Friday after Thanksgiving, until December 7th. Only open 2 weekends this year. Directions: (We recommend following directions below in lieu of internet mapping tools.) From Leesburg, take Rte. 7 W approximately 7 miles to Rte. 287, exit onto Rte. 287. Left onto 287, go about 1/2 mile to intersection with Business Rte. 7. Right onto Business Rte. 7; proceed through town, turn left onto 20th Street which becomes Rte. 611 (Telegraph Springs Road). Stay on Rte. 611 and go approximately 1 1/2 miles on Rte. 611 to intersection of three roads at bottom of hill. Turn right and go 1/4 mile to Bolyn Rd. Turn right onto Bolyn Rd. (Rte. 725) then turn right on the 4th driveway on the right (about 1/4 mile distance on Bolyn Rd.) Look for christmas trees for sale sign. Click here for a link to our Facebook page . Natural organic honey and fresh farm eggs. Bee apiary and chicken coop on property. Campfire and candy canes for children. Saws, tree bale, loading assistance, pets welcomed. Prices: (in 2015) are $60 up to 9 feet; 9'-14 feet - $80. Canaan Fir are beautiful hand sheared trees that are similar to Fraser Fir yet superior in needle retention, strong branches, and aroma. Also, some Douglas Fir and Scotch Pine. Tall trees available. 39314 Still Meadow Lane, Hamilton, VA 20158. Phone: 703-346-7336. Alternate Phone: 703-346-6226. Email: lisamwolff@aol.com. Open: Daily 9 am to 4 pm on November 26 and 27; December 3 and 4; December 10 and 11; December 17 and 18. Directions: Click here for a map and directions. Payment: Cash, Check, Visa/MasterCard. Enjoy hot chocolate, S'mores and baked goods. Warm up next to the bonfire, and take family photos by the antique sleigh. 2016 prices are $10 per fott of tree height. You-Choose and You-Cut varieties: Colorado Blue Spruce, Fraser Fir. 1104 Springfield Road, Luray, VA 22835. Phone: 540-743-1625. Alternate Phone: 540-860-8040. Fax: 540-743-6816. Email: valleystar@embarqmail.com. Open: The day after Thanksgiving until December 22; Monday to Thursday from 3 pm to 5:30 pm and Friday, Saturday, Sunday from 10 am to 5:30 pm. Directions: From Luray, VA go 3 miles north on route 340,turn right on Springfield Road and the farm will be immediately visible on your left. From Front Royal, VA go 18 miles south on route 340, turn left on Springfield Road and the farm will be immediately visible on your left. Click here for a map and directions. Payment: Cash, Check, Visa/MasterCard. Click here for our Facebook page. You-Choose and You-Cut varieties: Canaan Fir, Colorado Blue Spruce, Douglas Fir, Eastern White Pine, Norway Spruce, Scotch Pine, White Fir (Concolor Fir). PreCut varieties: Canaan Fir, Colorado Blue Spruce, White Fir (Concolor Fir), Douglas Fir, Eastern White Pine, Fraser Fir, Norway Spruce. 4905 James Madison Hwy, Haymarket, VA 20169. Phone: 703-930-3052. Email: mike@burnsidefarms.com. Open: See our website for current hours and more information. Directions: Click here for a map and directions. Spring (April): Festival of Tulips - Pick Your Own, Summer (July): Summer of Sunflowers - Pick Your Own, Fall (October): Halloween in Haymarket - Fall Festival, Winter (December): Fresh Cut Christmas Trees. We use natural practices, but are not seeking organic certification. Payment: Cash, Check, Debit cards, Visa/MasterCard, Discover, AmEx. Click here for our Facebook page. Starting the day after Thanksgiving, premium fresh cut Frazier Fir Christmas trees arrive at the farm (other tree varieties can be special ordered). These trees are cut and delivered weekly to ensure the freshest trees around. In stock trees start at 3 feet and go to 12 feet (larger trees can be special ordered). Fresh wreaths, garland and tree stands are also available. 12801 Hazelwood Dr., Nokesville, VA 20181. Phone: 703-594-3330. Email: jim@evergreenacres.biz. Open: black Friday from 8 am to 4:30 pm, and then weekends 8 am to 4:30 pm and weekdays from pm 2 to 5 pm, except December 3 and 4, we'll be closed. Our last day will be December 9 as we are still a bit over-cut as a result of the scotch pine blight; See our website for changes to dates and hours. Directions: Click here for a map and directions. Payment: Cash, Check. 8940 Burwell Rd, Nokesville, VA 20181. Phone: (703) 346-0137. Email: harlantree@verizon.net. Open: Saturday and Sunday Only starting the first Saturday after Thanksgiving Hours 10 am to 5 pm. Directions: Click here for a map and directions. Payment: Cash, Check. U-Choose and Cut varieties: Norway Spruce, White Pine. 2155 Rittenour Road, Edinburg, VA 22824. Phone: 540-459-5584. Email: sharon21@shentel.net. Open: Christmas tree sales from 10 am to 5 pm Friday through Sunday, from day after Thanksgiving to Christmas Eve. Directions: Easy!!! Turn off I-81 at Woodstock (exit 283). Go south on Senedo Road (Route 42) for 3.5 miles. Turn left onto Rittenour Road (Route 679), and go 0.2 miles to farm on the right. Click here for a map and directions. Payment: Cash, Check, Debit cards, Visa/MasterCard, Discover. Our Environmental Practices: No nitrogen or phosphate fertilizer used. No general pesticide spraying. Colorant not used on trees. All trees are from nursery-grown seedlings. No tilling of tree fields, preventing soil erosion. Providing a biodegradable Christmas tree. You-Choose and You-Cut varieties: Arizona Cypress, Blue Spruce, Canaan Fir, Carolina Sapphire, Colorado Blue Spruce, Douglas Fir, Leyland Cypress, Nordmann Fir, Norway Spruce, Scotch Pine, Turkish Fir, White Pine, White Spruce, and other varieties (call!). Pine Hill Christmas Tree Farm - UPDATE: December 16, 2018: The owner tells me they are now permanently closed. 721 Courthouse Road, Stafford, VA 22554. Phone: 540-659-2172. Email: sbounds@clarksfarmusa.com. Open: Fridayafter Thanksgiving to Christmas on Monday to Thursday from 11 am to 6 pm, Friday and Saturday from 10 am to 8 pm and Sunday from 10 am to 6 pm. Click here for current open hours, days and dates. Directions: 721 Courthouse Road (Rt. 630), Stafford, VA 22554 1 mile west of I-95/Rte. 630 exit. Click here for a map and directions. Payment: Cash, Check, Debit cards, Visa/MasterCard, Discover, AmEx. Click here for our Facebook page. You-Choose and You-Cut varieties: Eastern White Pine. PreCut varieties: Balsam Fir, Douglas Fir, Fraser Fir, Virginia Pine, White Fir (Concolor Fir), White Pine. 1162 Rocky Lane, Front Royal, VA 22630 Phone: 540-635-7763. Open: UPDATE for 2018, They may have closed; Does anyone have current information, are they still in business and open? If so, please write me, their last reported hours were November 23 - December 25, daily 9 am to 5 pm. Directions: South of Front Royal on Route 340, turn left on Route 649, south for 1.9 miles, right on Route 607, and 0.6 mile to farm on the left. Quail Hollow Tree Farm - Choose and cut Christmas trees, Bow saws, tree shaker, twine and tree baling provided at no additional cost. Complimentary coffee and hot chocolate provided. P.O. Box 216, Bentonville, VA 22610. Phone: 540-635-9155. Email: paultreeman@aol.com. Directions: From Front Royal, take U.S. 340 south 10 miles to Bentonville; then left on Route 613; cross the railroad tracks; then turn left on Route 672 (Bubb Lane); follow signs into Quail Hollow Estates. Open: 9 am to 5 pm, weekends from Thanksgiving until Christmas. U-Choose and Cut your own: Scotch and white pine, Norway spruce, blue spruce, and Canaan fir, 6-10 ft. Fresh-cut Fraser fir, 6-7 ft.
Do you know of any Christmas tree farms or winter farm events in this county? Please tell me about them - Click here to write to me!